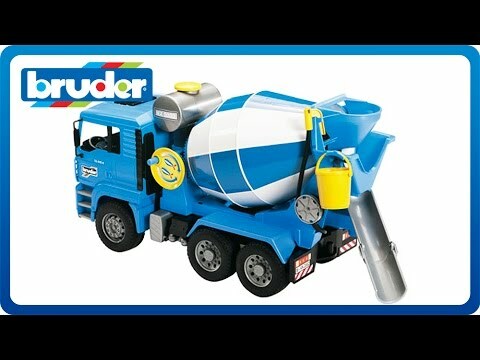 This MAN Cement Mixer by Bruder has a hand wheel that turns the drum and actually moves its contents. 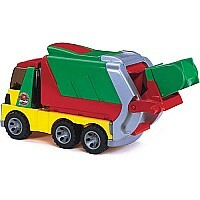 The Drum empties through the chute. The chute is adjustable and water actually drains out of the water tank through the hose of this cement truck. 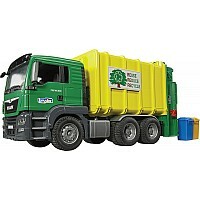 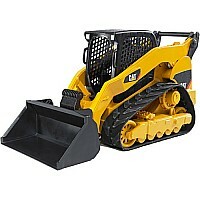 It has a removable bucket, and soft rubber Tires with real tread. 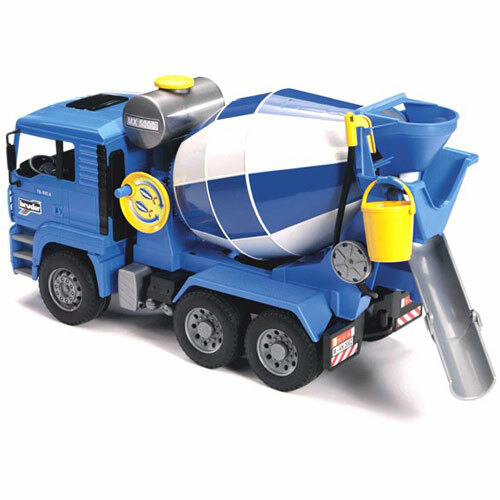 The Cab of this cement mixer actually lifts forward to reveal the engine. 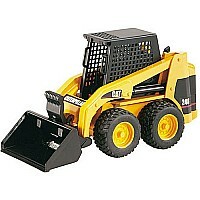 Measures approximately: 18.30 x 6.90 x 10.00 inches..